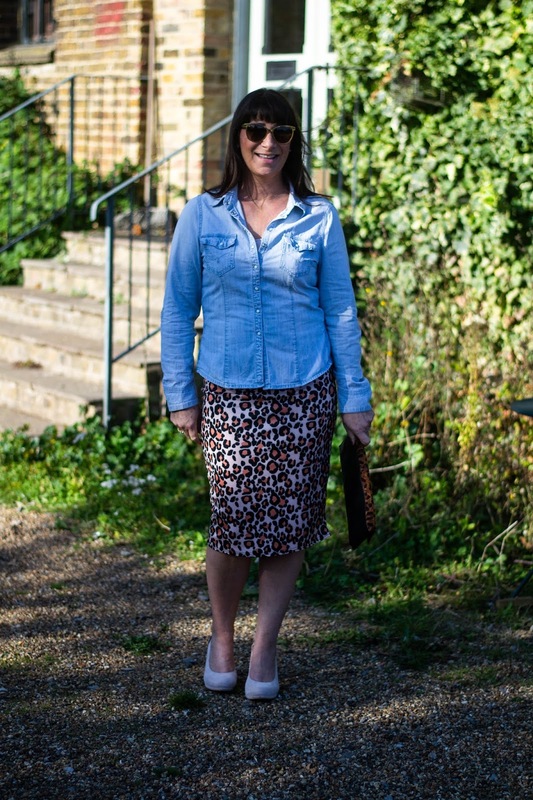 Denim Shirt over Leopard Print Skirt . Morning to you all and hope you've had a great weekend! Christmas has definitely started in Mummab's household - we put our Christmas decorations up and how fun & festive they look. I just love seeing all the decorated trees, baubles and lights throughout the house. We've had to buy more lights to hang outside as our old ones were … old and broken! Along with these I'm buying a couple of Christmas trees to place either side of my front door. Since we tidied it up in the summer there's a space to display them. I go all gooey eyed when I see the decs up, who else likes to turn the main lights off and look at the tree through squinty eyes - or is it just me? I thought I'd show another of my pieces from Krisp Clothing today. I received this leopard print stretchy pencil skirt* & after searching through Pinterest for a few ideas, came up with this one. I would normally opt for the safe choice of pairing neutrals like cream, brown or black with the pencil skirt. But after my little muse through Pinterest I saw this popular pick of wearing leopard with denim. I knew my daughter had something lurking in her wardrobe, which she confirmed so I promptly swiped it from her. Fortunately I managed to fit into it …. just! I don't know where my daughter got this casual fitted shirt from, but there's so many fancy additions that make it stand out from the crowd. I adore the cute little pearl buttons down the front, on each pocket and up the cuff, not just one but five pretty studs. There's also an option to roll back the sleeves and clip them in place - either they're for when you feel hot, or when you need to scrub the floor!! Lol. It's a fitted style which is also very flattering. Pleased I lost some weight else it wouldn't have looked quite as nice. This will well and truly earn it's keep as I can see this soft neutral skirt worn with loads of other pieces in my wardrobe - I've got some new long boots (will share them in a few weeks) and a chunky jumper in mind. What would you style with it? 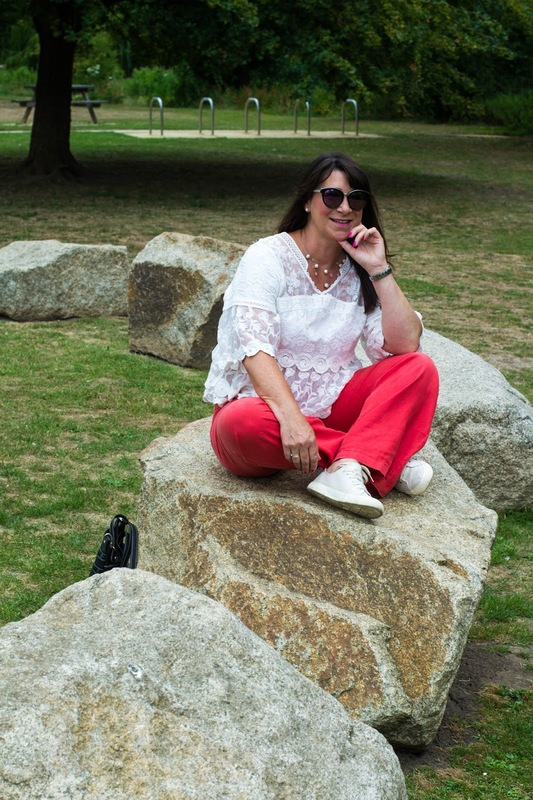 I wore my super comfy Calla court shoes - they really do fit well into this outfit as does my leopard clutch bag. Because these animal prints are different colours it adds much more interest to the look. This skirt also comes in a check print and rose pattern & are available in sizes 8 - 20. Costing a startling £12.99 this is a bargain for sure. Why not get one of each for that price? What do you think about this cute little zip detail on the rear? I love it, makes a great feature and right on trend too! 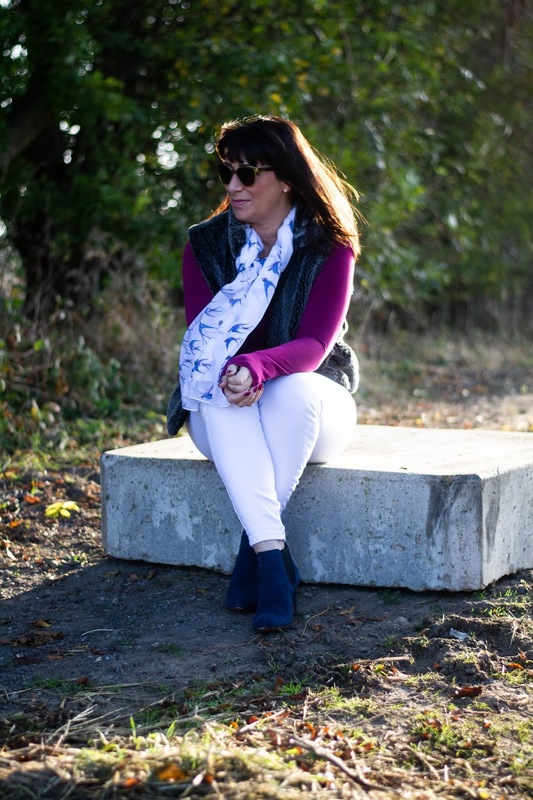 Catch you again on Thursday - I'll be sharing a beautiful Joules Scarf in a Giveaway, you might remember when I wore mine with white jeans, magenta tee shirt & fur gilet. A huge thank you for visiting today. I love skirts like that, and they are even better in leopard print! Great idea to wear a denim blouse with it! I will wear that too! Look at you fitting into your daughter's shirt! Seriously, what can't you wear with a leopard pencil skirt? I really like adding vivid pinks with leopard ;). Have a great week, Jacquii! What a fabulous outfit, Jacuqi!! Nice combination of denim with leopard! I wouldn't have thought of it either but looks great. 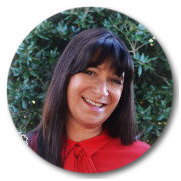 WOW that skirt is absolutely GORGEOUS, Jacqui! And I love it with the denim shirt too. I can imagine it all glammed up too. Perfect! This is such a great combo! 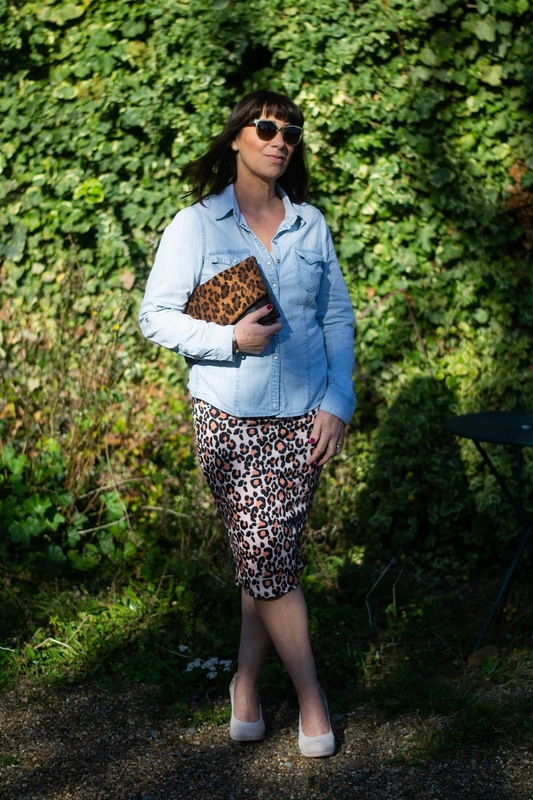 The chambray and leopard look so good together! I love the leopard print skirt! It looks fab with the denim shirt! Thanks for linking up! It's always a fun time of year. We have been decorating and loving this season. I absolutely LOVE that leopard print skirt. It's so chic! 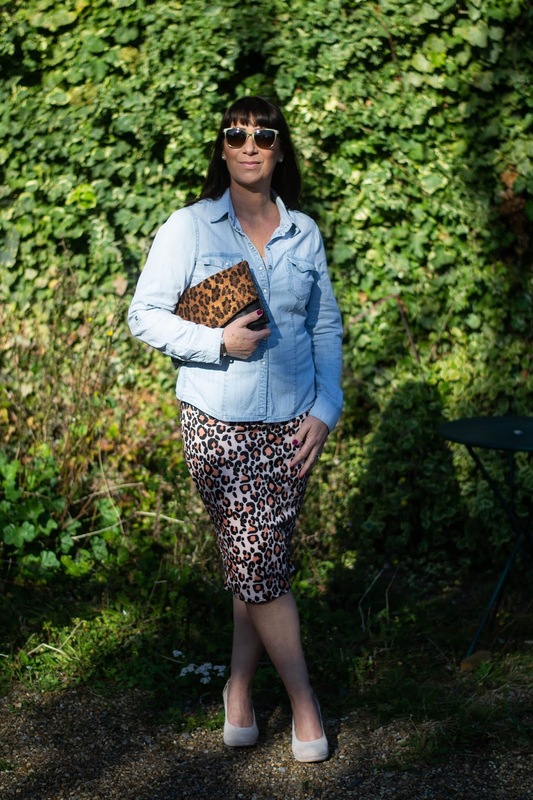 Clever mix with the denim and leopard, great inspo! Hugs, x. Both of those outfits are really cute. Love the leopard clutch. I just ordered a clutch for myself after not using one for many many years. 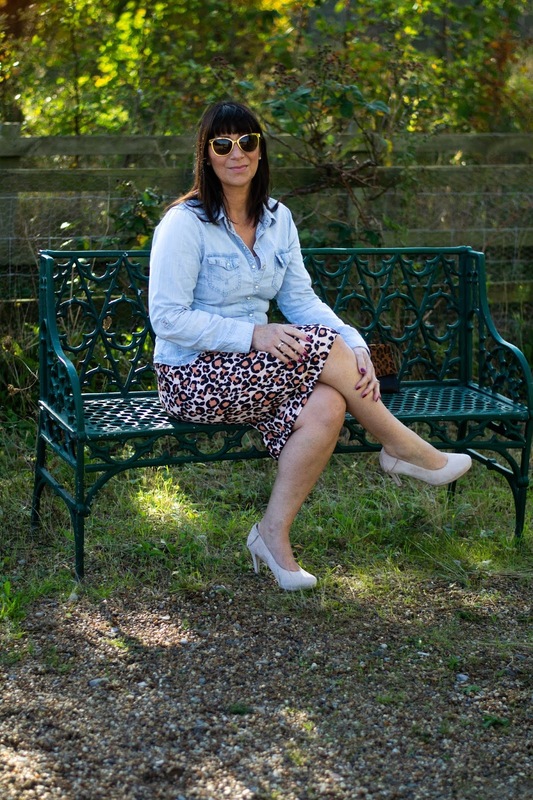 Jacqui, I love this skirt and it is perfect paired with a denim shirt! So classic and sassy all at once. This post will be featured on tomorrow’s #SpreadTheKindness Link Up. Thanks so much for linking with me! Sequin in the New Year! Style not Age.